Just a few miles down the road from Manhattan, MT is the small town of Three Forks. If you have ever read early Western History the confluence of the rivers at Three Forks was detailed in journals of Lewis and Clark. So let us show you around Three Forks. Three Forks is about 8 miles west of Manhattan on I-90. 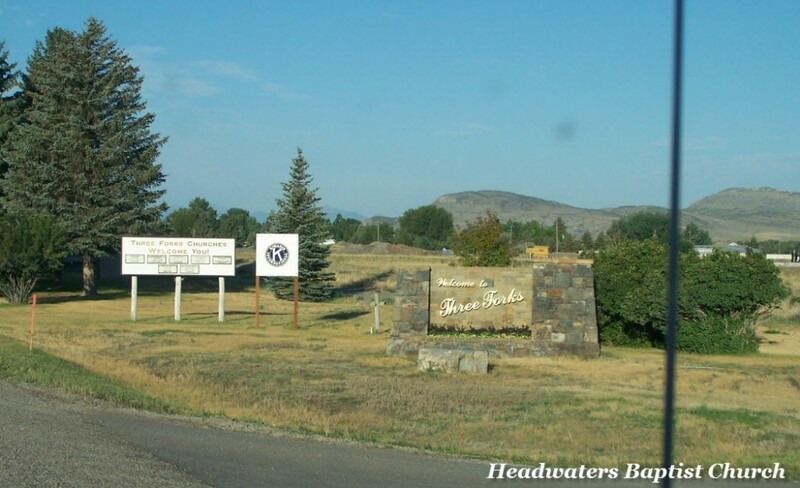 It is home to attractions such as the Headwaters State Park, golf course, and Sacajawea Hotel. At the confluence of the rivers the Madison River, Jefferson River, and Gallatin river flow together to form the Missouri. The Missouri is the waterway that party of Lewis and Clark followed for months to reach the west. If you gaze at a map you will see the Jefferson River flows on the west side of town while the Madison River courses on the east. Three Forks has a population of about 1,900 people and resides at an elevation of 4,089 feet. 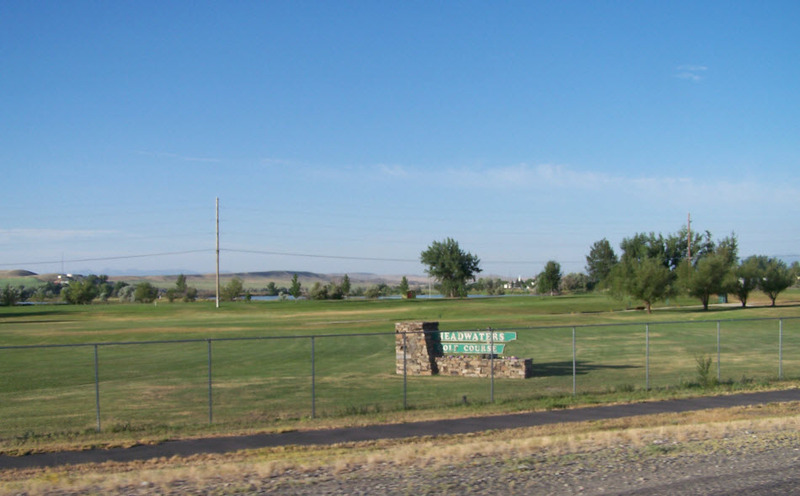 If you are a golf lover, then the Headwaters Public Golf Course will catch your eye as you follow the exit ramp of I-90 towards town. Beyond the golf course the three fishing ponds of Headwaters Park are visible. There are paved walking/bike trails that join the ponds with the confluence of the rivers to the north in the park. Near the turn of the century when the railroads were tracing there metal foot prints across America the present day ponds were dug to provide gravel for under the tracks. In the pond adjacent to the golf course there are still some old tracks in the very bottom. The area of the three ponds sat desolate and forgotten for many years. Then about 15 years ago restoration efforts were undertaken to turn the area into a lovely park. Continuing into town is the old milling tower with the worn name, “Teslow Inc.” painted on it. 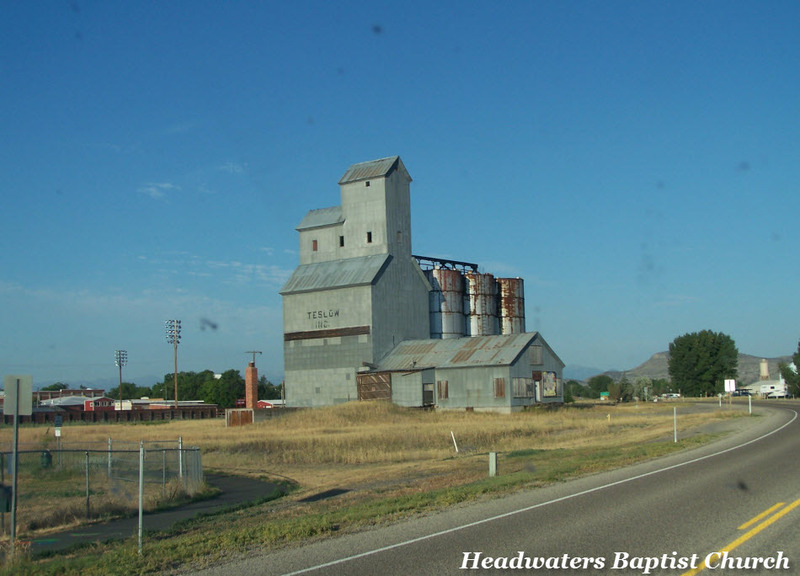 Many western towns had these towers for managing the grain crops. And the town’s museum is home to the rail car and the old depot station from Logan. It was relocated to Three Forks a few years ago. And finally Sacajawea Hotel. 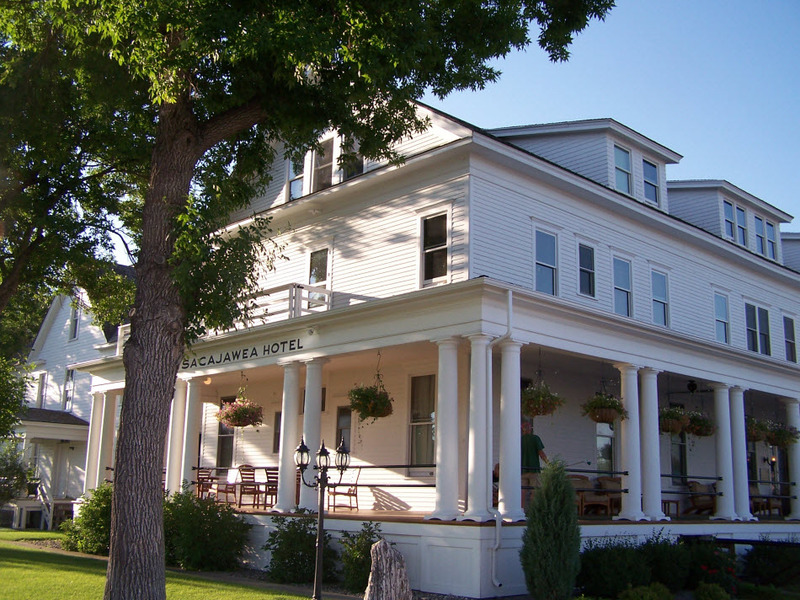 This hotel was originally built in 1910 to provide lodging to railroad travelers. Three Forks was the last stop along the railroad for many years. 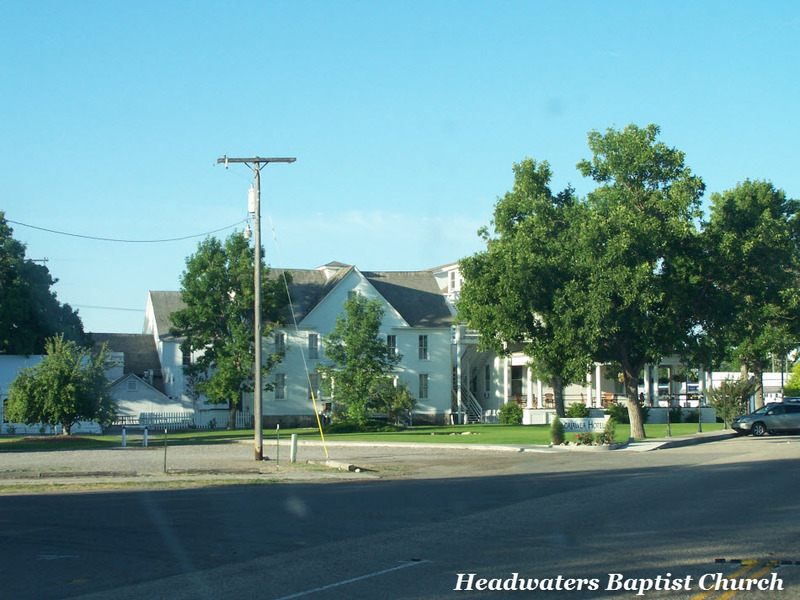 This hotel entertained guests headed west for over 100 years now. The tracks were removed in the 1980. Three Forks also is home to a small airport. 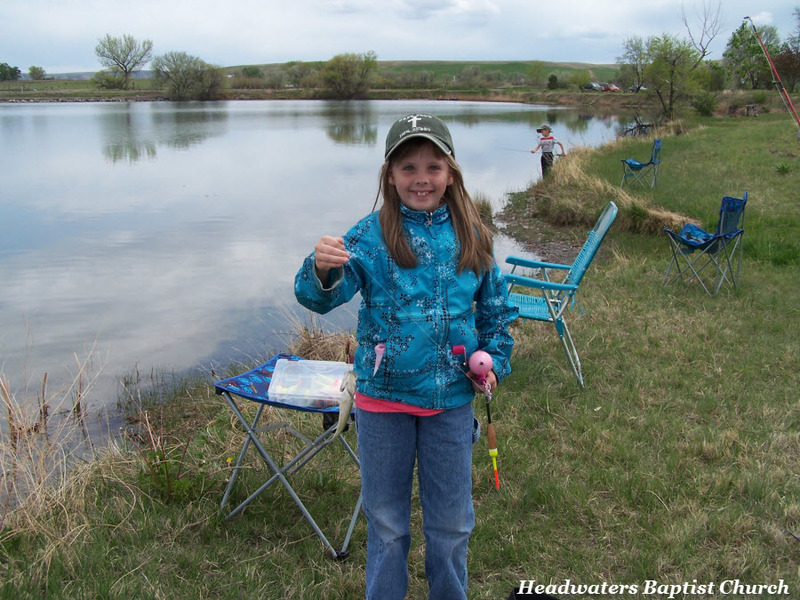 When we are fishing at the ponds we will often see small vintage airplanes flying around the big blue sky. 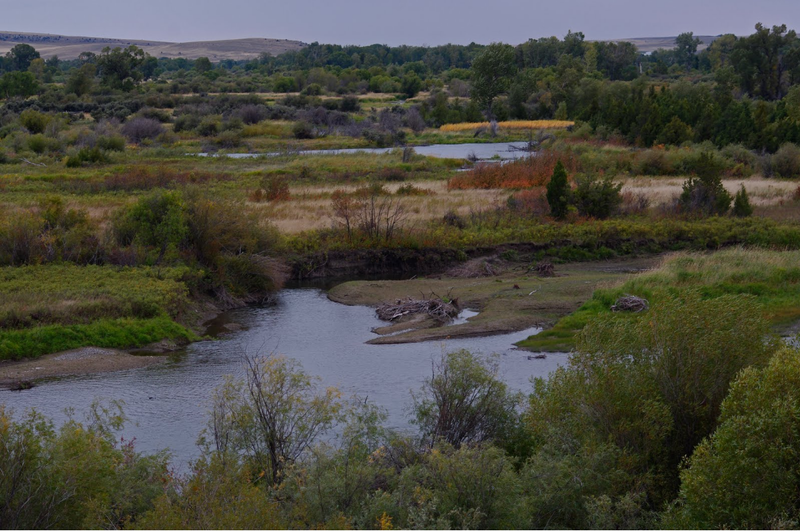 Headwaters State Park, as shown above, is a rambling combination of the fishing ponds, miles of walking trails, the confluence of the four rivers, a picnic area, and high bluffs that over look the river. Throughout the river section of the park are interpretive signs detailing various historical facts about the area and primarily the Corps of Discover.